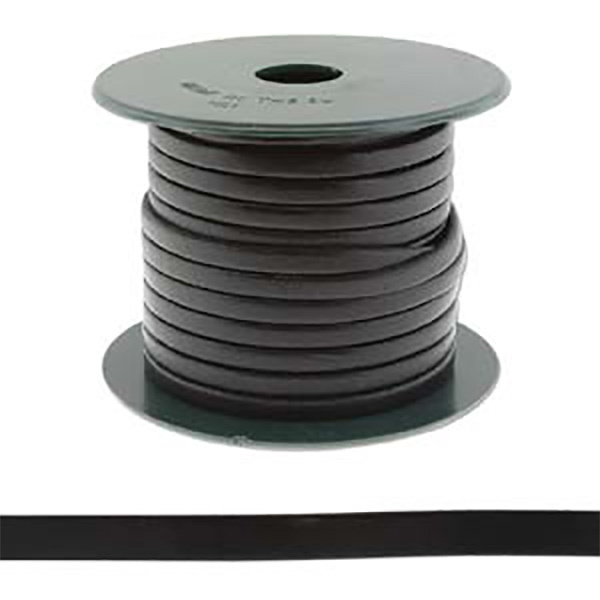 This is Black Regaliz® MINI Oval Licorice Leather Cord 10x4 Oval. Sold by the inch. Regaliz® oval leather cord is also known as licorice leather. It is dyed with heat-set vegetable dye. Due to the natural variations in leather and the dying, the exact thickness and exact color can vary slightly. Order the length you need in inches. 25mm = 1 Inch Cut the ends straight and slide on your beads and other components. Glue your clasp on. It is not designed to switch beads. This leather makes great jewelry for men as well. NOTE THIS IS MINI and will not fit the standard Regaliz Findings.